To upgrade machine performance or address stalling problems, manufacturers often resize motors with greater torque to achieve greater acceleration for improved operations. Retrofitting a stepper motor, however, is time consuming and expensive as it may require machining new mounting brackets and increasing the drive size and power supplies. PowerPlus Hybrid Stepper Motors from Moons Industries eliminate the hassles of resizing motors by providing 25% to 40% more torque across the entire speed range of a motor. 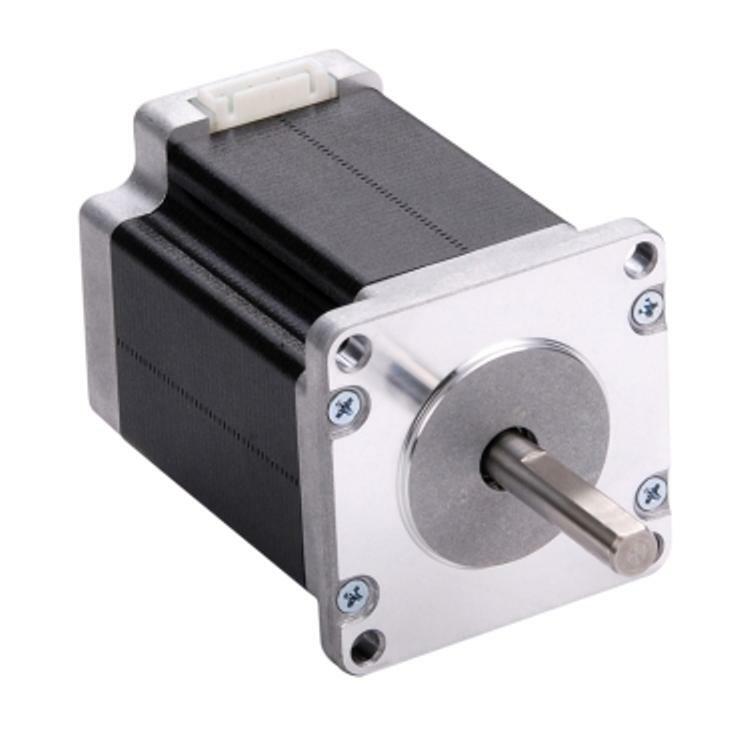 With the same physical dimensions as standard NEMA 23, 24 and 34 motors, PowerPlus Hybrid Stepper Motors often drop into place to minimise upgrade costs while improving performance. The increased torque of the PowerPlus technology is the result of higher motor efficiency. In a conventional stepper motor, some of the torque-producing flux that links the rotor to the stator is formed outside the stator teeth. The stray flux wastes power and adds little to motor torque. A higher magnetic flux density within the motor increases the performance of the PowerPlus Stepper Motor. Magnets placed between the stator teeth redirect and refocus most of the stray magnetic flux into the stator teeth to produce additional torque with the same input power.